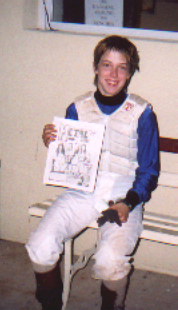 Went over to Philadelphia to meet jockey, Zoe Cadman who came in from Chicago to ride. Zoe didn't leave the area without picking up a copy of the best fanzine. 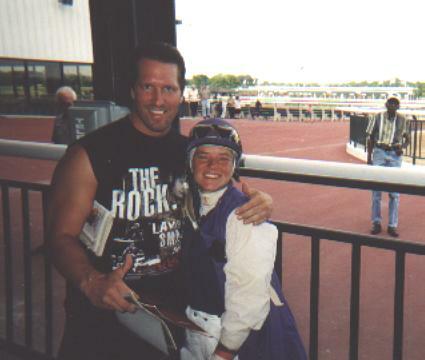 Me and hot looking jockey Tracey Brown over at Philadelphia Park. I do smell what Tracey is cooking! 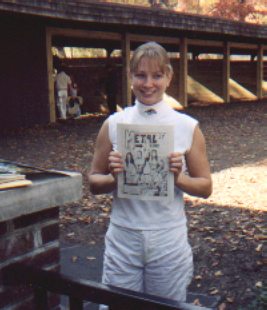 Tracey also holds up her favorite magazine. 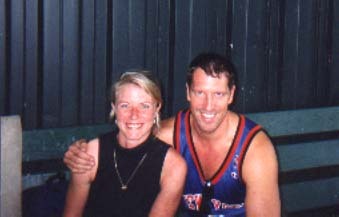 Me and the lovely jockey Rachel Goodgame at Philadelphia Park. 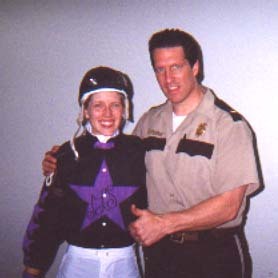 Me and another lovely jockey: Allison Hershbell at Philadelphia Park. 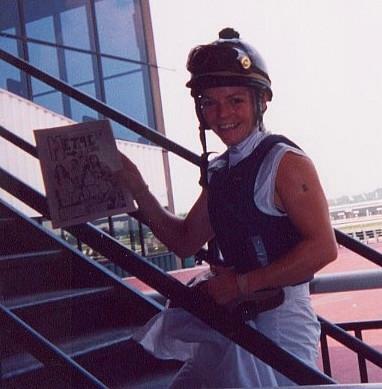 Jockey Jennifer Bramlett hold up her favorite magazine. 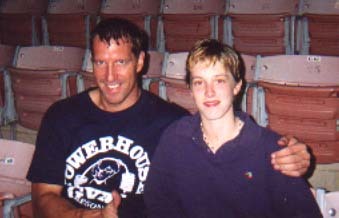 Got to love that smile. 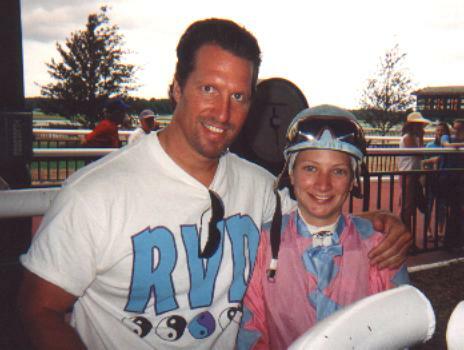 Me and jockey Jennifer Whittaker up at Monmouth Park summer of 2001. 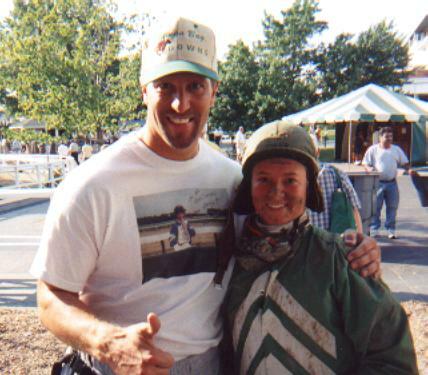 Me and the absolutly stunning jockey Rose Mary Homeister Jr at Monmouth Park in 2001. Check this out: A double thumbs up! Jockey Rolanda Simpson gives the thumbs up sign every time she wins a race. I hope Rolanda wins a million races and I give this pic a double thumbs up. Rolanda also never misses an issue of her favorite magazine. 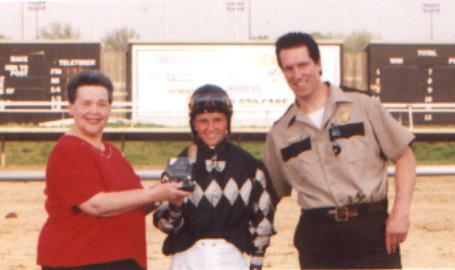 Look who got to present a award in the Garden State Park winner's circle and look who just happened to be the winning jockey!!! 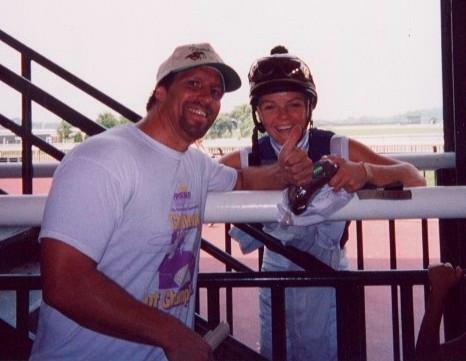 Me and jockey Sandi Dorr over at Philadelphia Park. 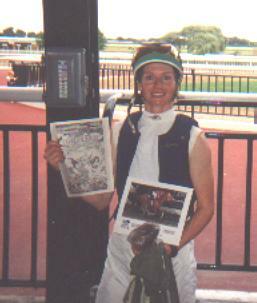 Jockey Sandi Dorr holds up her favorite fanzine. 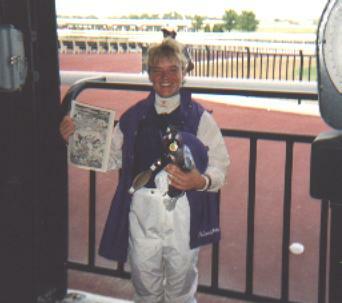 Jockey Allison Hershbell holds up the greatest fanzine ever! 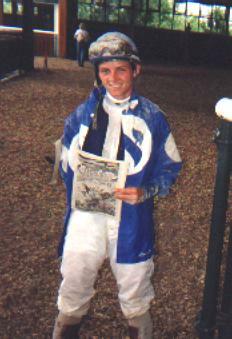 Me and new jockey Bacarra Lynne Rice. 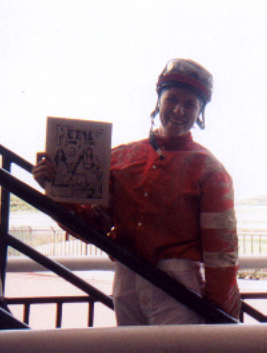 Jockey Sarah Gibson holds up her favorite zine all the way from West Virginia. Me and jockey Rolanda Simpson at my new place of work Philadelphia Park. It is a tough job to guard all these jockeys!